The historic Lotus name is poised to return to Formula 1 after submitting an entry for the 2010 championship. The Norfolk-based Litespeed team have bought the rights to the name Team Lotus, which disappeared from F1 following financial problems in 1994. Lotus won seven constructors' crowns and six drivers' champions, including Jim Clark and Graham Hill, during their golden era in the 1960s and '70s. The new Team Lotus has lodged an entry for next year as a "cost-capped" team. They will use Cosworth engines and have a car designed under the leadership of former Toyota and Renault technical director Mike Gascoyne. Gascoyne told BBC Radio Norfolk the Lotus brand should help the team's bid to secure a place on the 2010 grid. "Certainly it should help us, it's obviously one of the most famous names in Formula 1, and still the fourth most successful constructor in F1 history. "To come back in with the Lotus name and to be based in Norfolk is a great story for Formula 1. "We've secured the lease to the RTN factory in Hingham near to Lotus and we've been in discussion with Lotus and [their parent company] Proton. "For me to continue my F1 career under the banner of the Team Lotus name and help to bring it back to its deserving place in the world championship is a fantastic feeling and something that I am extremely proud to be doing," said Gascoyne. The FIA will announce which teams have been successful in gaining entries on 12 June. The FIA's ongoing negotiations to agree a budget cap of around £40m with the 10 existing teams on the grid is partly designed to encourage more teams to enter the sport. But there is an ongoing row over the plans between the FIA and the F1 Teams' Association (Fota). The Fota teams - which include big names such as Ferrari, McLaren and Renault - lodged entries that were conditional on FIA president Max Mosley acting on a compromise agreement negotiated at the Monaco Grand Prix last month. But Mosley appears to have hardened his position in the fortnight since then and is now saying that the Fota teams would have to organise their own championship if they want to write the rules. Team Lotus have joined US F1, Spain's Campos Racing and several other largely unheralded outfits in adding their names to the list of new entrants on 29 May. The ownership rights for the name were bought by businessman David Hunt - the brother of the late former world champion James - when Team Lotus collapsed. Former Lotus F1 engineer Nino Judge and Steve Kenchington have been named as team principal and director of engineering, respectively. 'David Hunt has been the custodian of the name for so many years and we thank him for entrusting us not just with its safeguard but, more importantly, its development in the racing world of tomorrow," said Judge. Former Lotus driver Johnny Herbert has also joined the new team as driver manager and global commercial ambassador. If the team's application is successful it will mark a return to F1 by one of its most celebrated teams. Colin Chapman founded Lotus in 1952 and went on to influence the careers of some of the sport's great drivers - and cars. Stirling Moss gave Lotus their first grand prix win at Monaco in 1960, signalling the team's rise in competitiveness. In 1962, Chapman designed the revolutionary one-piece, or monocoque, chassis based on aircraft design. 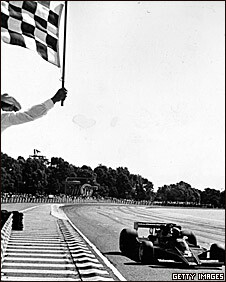 The following season, the dominant Lotus powered Clark to his first title and the Scot added a second in 1965. However, Lotus' history has been marked as much by tragedy as success. In 1968 Clark was killed in a Formula Two race; his Lotus team-mate Hill went on to win his second championship that year. Austrian Jochen Rindt became the sport's first posthumous world champion in 1970 when he died driving for Lotus during practice for the Italian Grand Prix. Rindt's replacement, Emerson Fittipaldi, won another title for Lotus in 1972 with Mario Andretti becoming the team's sixth world champion in 1978. Andretti's triumph was down to another Chapman design perfection known as "ground effect," where air flowing under the car was channelled to create increased levels of aerodynamic downforce. But Andretti's win was also marked by sadness as his popular team-mate Ronnie Peterson died when he was seriously injured at Monza. Four years later, Chapman, who handed future world champion Nigel Mansell his debut in 1980, suffered a heart attack and died. 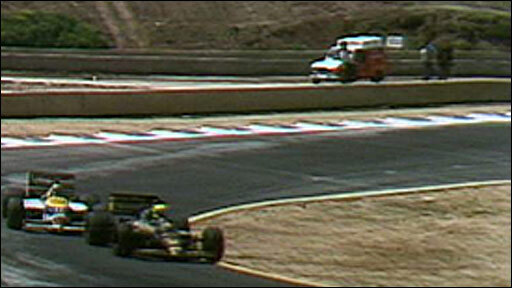 Under new leadership, Lotus enjoyed limited success in the mid-1980s, despite having Ayrton Senna, who would go on to win three world titles, at the wheel. The team succumbed to financial pressures in 1994 and withdrew from F1, but remains the fourth most successful constructor of all time.